The Homak First Watch Steel Security Cabinet is a great solution for keeping your firearms out of the hands of young children and punk thieves. 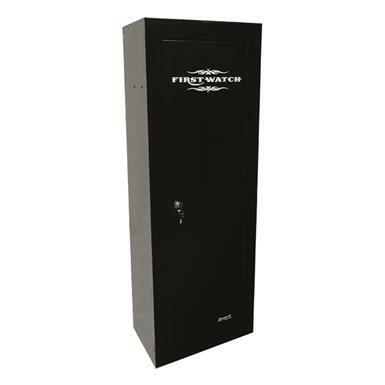 Durable Security Cabinet is made from thick steel and features a pry-resistant door frame and heavy-duty locking plate. 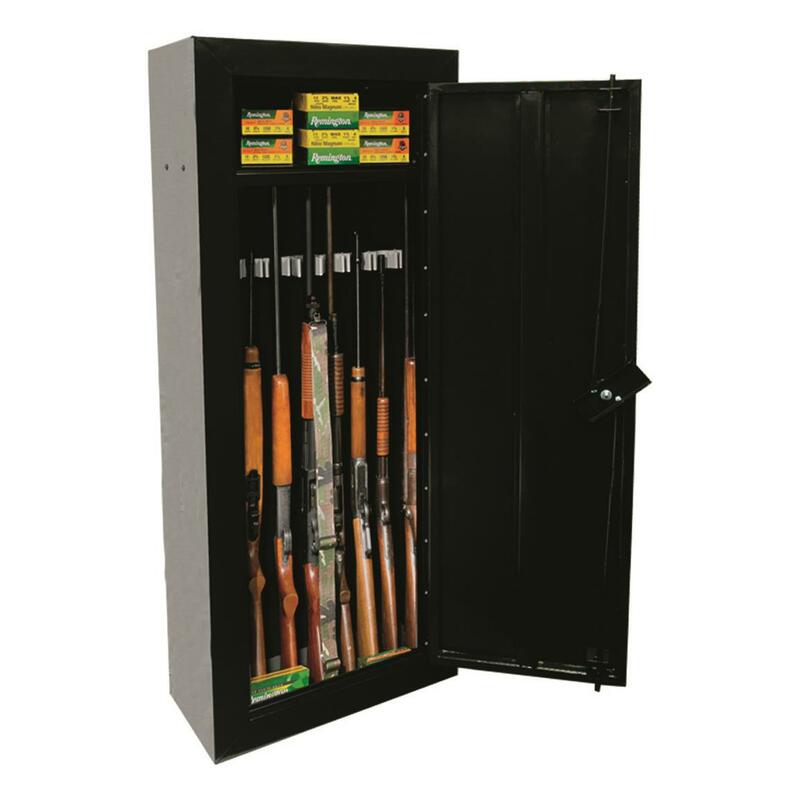 Comes with your choice of 8-, 10- or 14-gun capacity and includes fixed metal shelf and plastic barrel rest kit. Dimensions: 21"l. x 10"d. x 55"h.
Dimensions: 18"w. x 14"d. x 55"h.
Dimensions: 21"w. x 16"d. x 55"h.